As you probably know all too well, there are tons of videos about design out there that cover a wide array of topics. If you enjoy watching these videos – that’s great, but the one downside that you may have noticed is that most of them are streamed online and you aren’t able to conveniently save them. With the help of the Movavi Screen Capture Studio, you’ll find that it is actually possible to do so. Not only that, but there are other possibilities that you may not have considered too. All that aside however, the basic idea is really quite straightforward: What you need to do is record your screen while the design video is playing, and you can then save it afterwards. Because the Movavi Screen Capture Studio is so intuitive, you’ll discover that it really is quite easy to do just that. 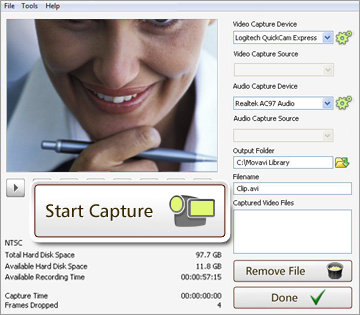 Simply start the software, set the capture area, ensure the audio source is set to ‘system audio’ and begin recording as you simultaneously play the design video. Once the recording is done you’ll be able to save it with one of the presets that will automatically optimize it for the device or platform that you’re using. Assuming you’d like to take it a step further, you could make use of some of the other features of the software to edit and tweak your video. In particular you may want to trim out unwanted segments of the video and save just the important bits. Better yet, you could do the same for several design videos and then combine them into a single ‘compilation’ video if you like too. If you like, you can use this same approach as a screen grabber to record any streaming video that you need. On top of that you can also record other things too – and even pull video from your webcam if you need to since the software is flexible enough to allow for it. The sheer number of options at your fingertips when you’re using the Movavi Screen Capture Studio is hard to match. It will allow you to enhance the video quality, insert special effects and filters, and even add text or music if you want to. Go ahead and try it out for yourself to see just how simple it is to put all these features to work.